The history of Myres Castle is well documented from the early 15th century when King James 1st (of Scotland) granted Robert Coxwell possession of the South Quarter of Auchtermuchty. It included the portion which was afterwards distinguished as the Myres. Robert Coxwell was an Englishman who, as a young squire, served James during his long incarceration (1405 – 1424) by Henry V in England. He accompanied James on his return to Scotland and, as well as bestowing the grant of land, James also made Robert his mace bearer and Sergeant at Arms at the Scottish Court. On Coxwell’s death his widow married John Scrymgeour – a junior branch of the family who later became the Earls of Dundee. It was John Scrymgeour’s grandson, also called John, who built the old part of the Castle in about 1530. John was an accomplished builder and Master of the Kings works, in which capacity he had overseen the building and repairs of Holyrood House and at Falkland Palace. In 1611 the Castle passed out of the Scrymgeour family and for over 250 years it was owned by some of Scotland’s famous family names – Patterson, Moncrieff, Skene and Bruce. In 1887 the castle was acquired by James Ogilvie Fairlie, third son of the Fairlies of that Ilk who lived in Ayrshire. (Ilk is a Scots word meaning a person whose name is the same as his estate). James Fairlie died at Myres in 1916 and his oldest son Reginald inherited the property. Reginald, a bachelor, had no use for the castle and handed it over to his brother James and his family. On James’ death his son David inherited Myres which had by that time fallen into the state of disrepair. During the 1960’s Captain Fairlie oversaw the complete restoration of the Castle. He continued to live at Myres after the early death of his wife Ann in 1986. Captain Fairlie was later married for a second time to Jane Bingham-Newland in March 1995. 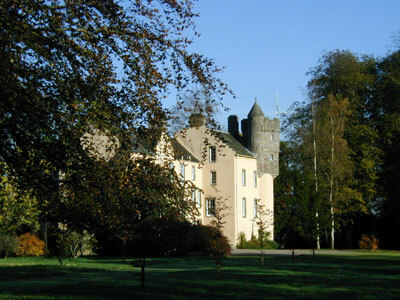 In 1999 Captain Fairlie sold the Castle and much of its contents to Mr and Mrs Jonathan White who have restored it to its former splendour – thus heralding a new lease of life and role for Myres in the coming millennium. It is now possible to hire the castle on a fully catered basis for special occasions or an extra-ordinary holiday. 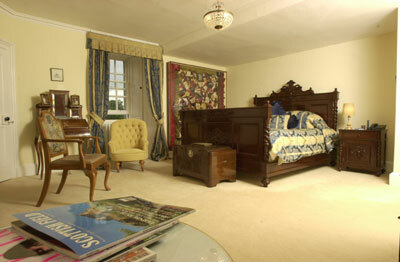 The Castle has 10 bedrooms, all with en-suite bathrooms and has been restored to the highest standard. 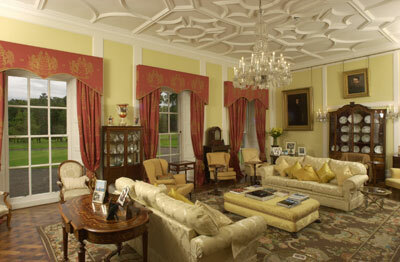 There is a large yellow drawing room, with huge windows and lovely family portraits. The house has a dining room and a breakfast room, television room with satellite tv and dvd, small office with internet access, billiard room, large meeting room (with David Linley furniture) and a cosy library, which is perfect for the late night dram. 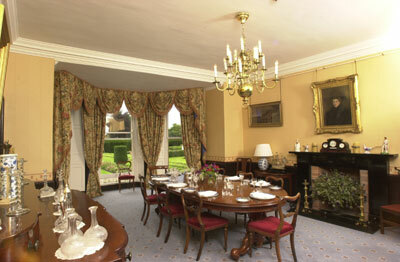 The Castle is surrounded by 50 acres of formal gardens, woodland and fields. There are highland cows in the paddocks and a beautiful hard court tennis court for those interested. Myres is only 20 minutes from St Andrews, making it very appealing to golfers. 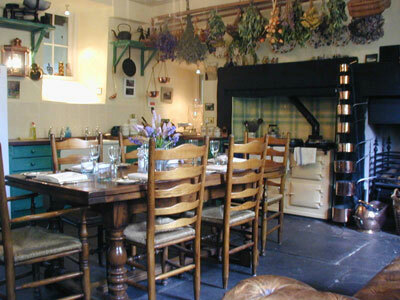 The Castle is fully staffed and has a wonderful chef, who prepares many local dishes. The property in its present guise as an exclusive rental property is enjoying somewhat of a renaissance and has never looked better. Andrew has, by founding Loyd & Townsend-Rose (LTR - www.ltr.co.uk), transformed his love of ancient castles into a highly successful business. LTR offer access to some of the finest private castles, including Myers, and other properties in Scotland and beyond.